Please enter your postcode below to see if you are within our free delivery radius. 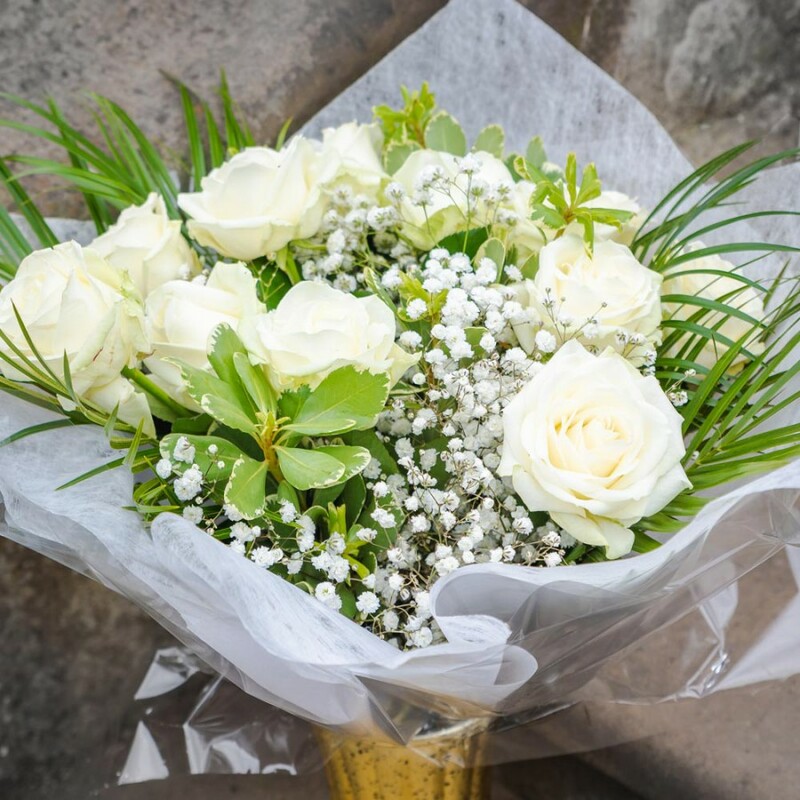 Flowers: Free local delivery in Pontefract / £4.99 delivery to surrounding areas. Gifts: £3.95 delivery to United Kingdom. Please note: We will do our best to deliver on your requested date, and if there's a problem we'll be in touch. Looking for something less cliché than a dozen red roses? 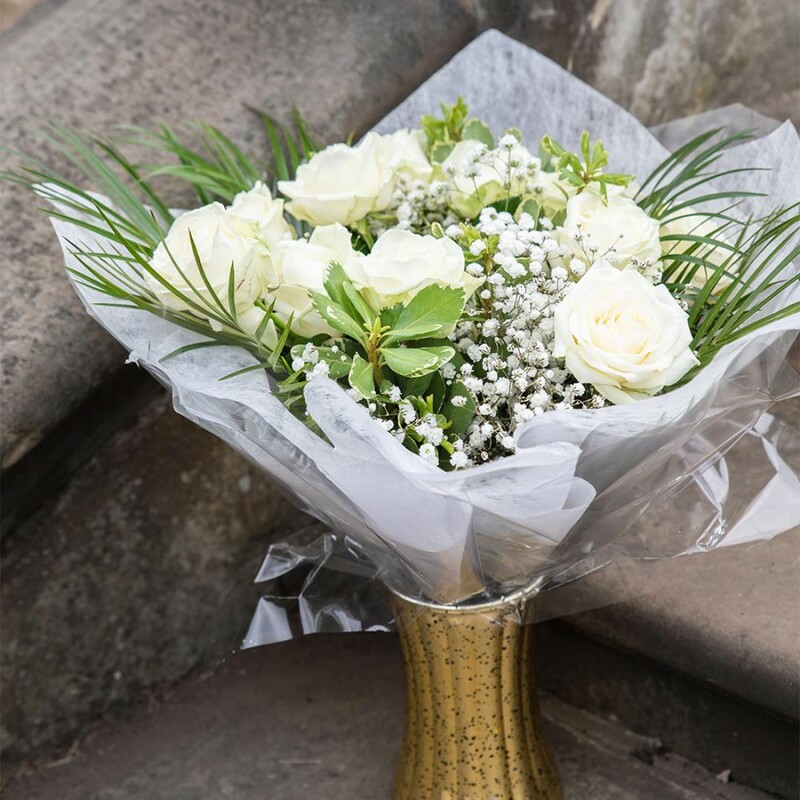 Say how much you care with a sophisticated selection of 12 premium white roses, off set with a selection of variegated greenery. Hand tied in a water bubble and presented in a gift box. 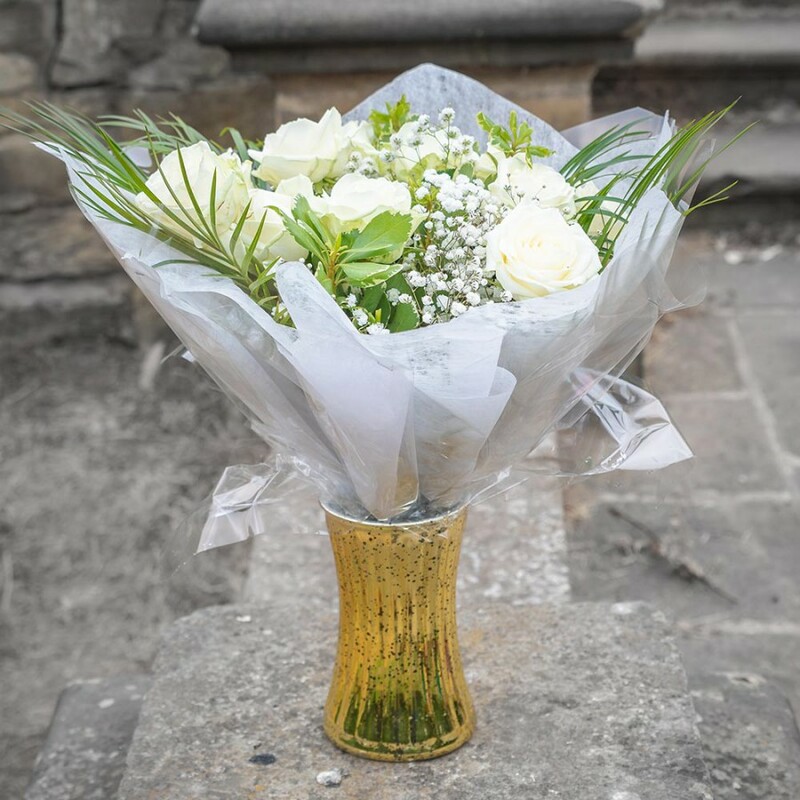 For an added touch of luxe, select the medium option and the flowers will be presented in a metallic vase.